At Southern Exposure Seed Exchange, we sell garden vegetable seed, mostly certified organic, with a focus on heirloom varieties that have been passed down through the generations. Our customers are home gardeners and small farmers. Our home is Acorn Community, an egalitarian, income-sharing group of about 28 members on 72 acres in Mineral, Virginia (www.southernexposure.com; www.acorncommunity.org). We do remarkably little to promote ourselves. We encourage gardeners to save seed and reduce their dependence on companies like us. And yet we continue to grow. In the summer of 2013, in a community meeting focused on the size of the business, almost everyone in the community agreed that Southern Exposure was growing faster than would be best. In talking to Ira, who does most of our promotion and networking, I’ve argued more aggressively for slowing down the growth. We agree that there is a lot to be said for growing the business. We want to help people grow more and bigger gardens, so that they can be more self-sufficient and eat healthier food. And money, though overvalued by mainstream culture, does have value. We’d like to have more of it rather than less. In late December 2013 and early January 2014, we moved into the new office that we’d been building for two years. The new office has timber framing, a radiant floor, super-insulated blown-in cellulose walls, large south-facing windows, wide eaves to make it cool in summer, a loading dock, a small warehouse, and on the cool north side, an insulated, air-conditioned, dehumidified seed room with a strawbale wall. But in some ways, as of early March, the office is still under construction. It still has no running water. We’re using space heaters while the wood furnace gets finished. One room still has more construction equipment than office space. One section of roof will be a living roof—but isn’t yet. The move was very rushed due to a fire in the house where, until this winter, the business was located. Even with all this haphazard finishing of the building, the new space fits our needs much better than the old, and makes growth of the business easier on us. When we ran the business out of our main house, up to three people could put seed orders together at once. Now seven or eight can. Before, there was one good, shared space for shipping orders and two mediocre spaces, plus whatever shipping spaces people set up in their personal rooms. Now we’ve had eight people shipping orders at once in our main office. People answering customer calls used to shush loud conversations in the office. A very recent step in our move into our new space was to separate the computers and phones from the shipping and seed packing areas. Now packers and shippers can listen to loud music at any time of day. Historically, Acorn has had very high turnover, including lots of young travelers. This leads to lots of time spent training people on new jobs. Many factors, including better housing, are leading us to attract a more significant number of people who want to be more stable. We have a new seed-packing machine. We’re still learning how to use it. From what we hear from other seed companies, it will save us a lot of time. We used to print out two copies of each order—one for the customer and one for our records—and a mailing label. We’ve very recently started using a system that allows us to print out only one copy of each order and put it in a little (recycled) pouch on the outside of the package so that it serves as the mailing label as well. This will save us time and resources. Ken, my boyfriend, keeps track of the inventory, corresponds with farmers who grow seed for us, and makes sure all the germination tests get done. When I ask him where we get a particular one of our 750 or so varieties, he generally knows off the top of his head. When I ask how much seed we have on hand, he generally has a pretty good idea even before looking it up. So it’s not surprising that delegating is harder for Ken than for most of us. This winter I’ve been using all the methods I can think of to convince him to let go of small portions of his work—and then figuring out who is willing and able to take those jobs on. This is the most exciting and also the most difficult of the various ways we can expand our capacity. Currently, most of the work that is done here is still done by people who live here. Work is organized in such an ad-hoc fashion that it often astounds me that all the really necessary jobs get done. We don’t use job titles within the company. No one comes here expecting to make a lot of money. We sign up for phone shifts on a weekly rota. We each take on the jobs that we consider worth our time. We each do our jobs when we choose to do them. If we feel we’ve taken on more than we should, we ask for help. Each Acorn member chooses whether or not to keep track of their hours. Some of us do most of our work in the business; some of us do most of our work in house and farm areas. No one here tells any other person that they must do any particular task or work at any particular time. Even our hourly workers could switch to different tasks or different times, generally with only a little effort. Can we scale this model up? That’s one of our main questions. While we can hire people on an hourly basis, we’d rather not do a lot of that. To do so would be to become more like a conventional, capitalist, hierarchical business. Many of us feel very strongly that we want to retain the freedoms we have. We want to continue to be radical and egalitarian. We’re also interested in splitting off relatively discrete parts of the business. Already, several areas of work for Southern Exposure are being done by neighboring communities. One part of our business, seed racks, is run out of Twin Oaks Community—of which Acorn was originally an offshoot—though still with some help from Acorn. This branch of Southern Exposure sells larger quantities of seed packets to retail stores that then resell them to customers. 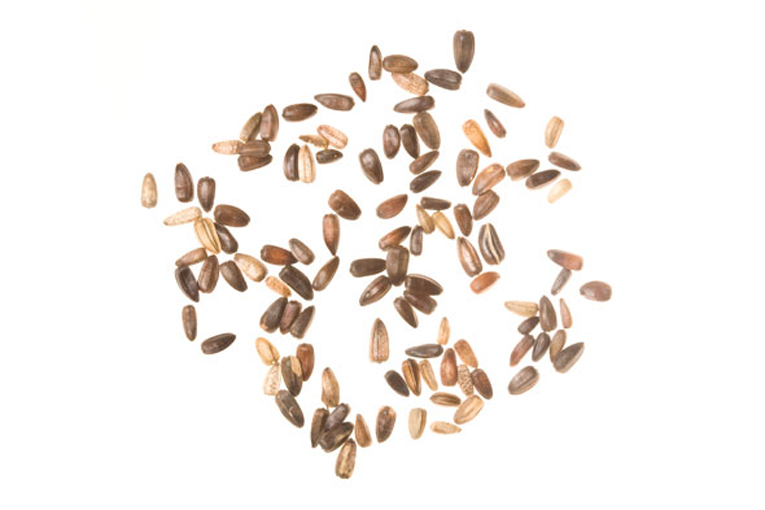 Twin Oaks is also our biggest seed grower—we work with a network of almost 50 small farms that grow seed for us—and we sometimes also fund crop trials by the Twin Oaks seed-growing team. Sapling Community, a recent offshoot of Acorn, now owns and runs Garden Medicinals and Culinaries, a small herb seed business that was founded by the same person who founded Southern Exposure, and that was owned by Acorn for several years. Living Energy Farm is yet another community in our county, including dual members with Acorn and Twin Oaks. Living Energy Farm manages Southern Exposure’s shipment of sweet potato slips in late spring. These parts of the business haven’t been too hard to split off. But it’s unclear what else we hope other communities will do for Southern Exposure in the future. We’re in the beginning stages of exploring ideas about an inter-community worker cooperative that would give other involved communities more stake in the business as a whole. But however Southern Exposure continues to evolve, this is my main message: It is possible, at least in our current situation, to run a business without mandatory timesheets, and without anyone telling anyone else that they must do any particular task. Irena Hollowell has lived at Acorn Community in Mineral, Virginia since 2009 and previously at other communities; see www.acorncommunity.org. ← Bookshelf Special! Tour Ten European Ecovillages for only $20 with A New We DVD!